Pasquale Giugliano, Pasquale Orabona, Alfonso Maiellaro, Marco Trabucco Aurilio, Giuseppe Cenname, Francesco La Sala, Mauro Arcangeli. 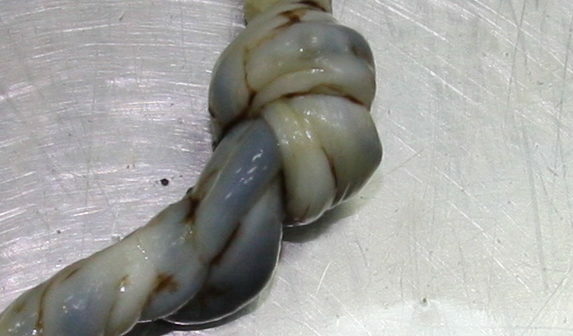 A true umbilical cord knot can be defined as an entwining of a segment of the umbilical cord. These knots are usually due to fetal slippage through a loop of the cord. 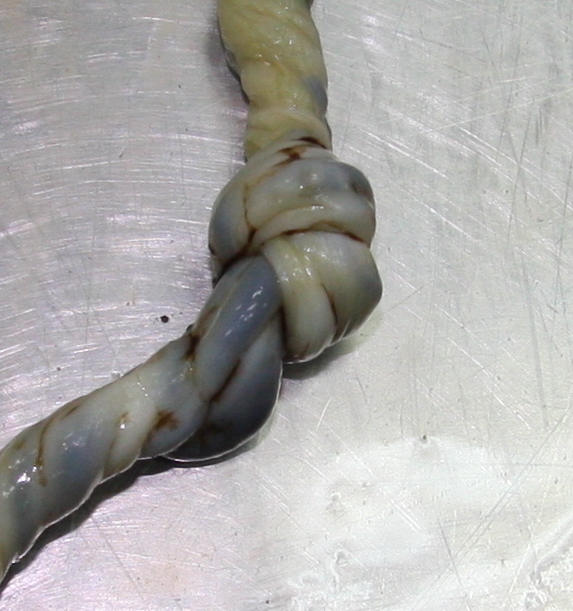 A true knot is a rare event with a rate ranging from 0.1% to 2.1% of all umbilical cords at delivery. However, in 1.4% to 2.7% of such pregnancies, a true knot causes intrauterine fetal death (IUFD). Wharton’s jelly and hydrostatic pressure of the umbilical vessels usually do not allow knots to completely tighten, but just before or during labor, a previously loose knot can tighten and cause asphyxia. Prenatal diagnosis of such an alteration is difficult and, even if diagnosed, there is no consensus on the therapy. We describe a case of a true umbilical cord knot that led to IUFD of a female fetus at the 40th week of gestation.